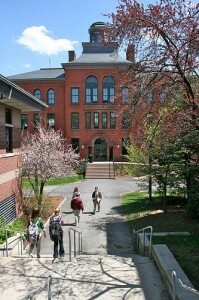 I’m very pleased and excited to announce that I have signed a contract for the position of Technology Integration Specialist at Worcester Academy in Worcester, Massachusetts. Obviously, accepting this position was not an easy decision to make as it will involve a fairly substantial relocation for my family to an area of the country where we have no family and few friends. I would be lying if I said I was not nervous… well, scared, actually. However, I think it is a wonderful opportunity, and I am very excited about the possibilities, too. It has been time for a change for a long time, I think, but I had other considerations that might have prevented a move out of Atlanta. Now is a good time to move, and if we’re going to do it, we might as well make a big change. I’m excited about my new position for many reasons, not the least of which is that my future colleagues are warm, wonderful people who solidly support professional development and technology integration. You can learn more about their school at their website, follow them on Twitter, and check out their Facebook page, YouTube channel, and Flickr account. Congratulations and welcome to the NorthEast! Good luck with the transition. Thanks, Nancy! I visited the school a couple of weeks ago, and it's awesome. Thanks Karen. I haven't asked about going to NCTE this year, but I have a feeling that they would let me go, so perhaps we will bump into each other there. Wow. That's huge! Congratulations and best wishes. Thanks, Gary! I'm excited about it! Congratulations! Wishing you the best! Dana! Congratulations! They are lucky to have you. And welcome to my neck of the woods. Thanks, Karen! It's a big move for us, but I think we will like it. Of course, we've only been there on vacation, and my husband has no idea what real winter is like. Hey, congrats Dana! I was in the midst of a major move with my family this time last year so I know how disorienting– and yet exciting — this can be. Best wishes, and I look forward to your blogging from the new gig. Wow. Change is good: you will love Massachusetts. They will love you. How exciting! I wish you all the best! "Big" is right! Congrats and good luck!! Thanks for the well wishes, everyone! Best wishes for your move, I know you'll do well. This is a big step, but if they let you do what you do best, it is a perfect place for you. If you develop any Shakespeare-tech ideas, let me know. Mike, I think this is the sort of environment that will definitely allow me to do what I do best and to grow and encourage me. I feel good about my decision, but obviously it's a big move. I am excited about it. Congrats — I teach in the next town over – Shrewsbury — if you're looking for some people to show you around, let me know – myself and my colleagues would be happy to introduce you to the area! Thanks, Derek! A colleague at Worcester Academy just suggested we look at Shrewsbury for a place to live. Not a bad idea… but do take a close look at the school situation — we have a great system, but we're not funded. The system is eliminating 32 FTE positions at the end of the year, and will still have an $850k shortfall – class sizes will be an AVERAGE of 30 from grades 4 – 8, and many HS sections will be about the same. We've lost a lot of classes – auto shop at HS is gone, our technology program has been gutted for the most part (our laptops for kids are 8 years old)… All this in exchange for some of the lowest tax rates in the region… mind you, I think my colleagues and I do a heck of a job — but I would not want my son coming into this district until it gets its priorities in order. Northboro, Westboro, and Boylston have somewhat better priorities in funding education. Thanks for letting me know. We feel like we are sort of going at this blind in some respects, and it helps to have the perspective of folks who live up there.